Horsted Keynes (South) signal box is a London Brighton & South Coast Railway signal box that was opened in 1882 and it was closed in 1963, only to be reopened by the Bluebell railway. 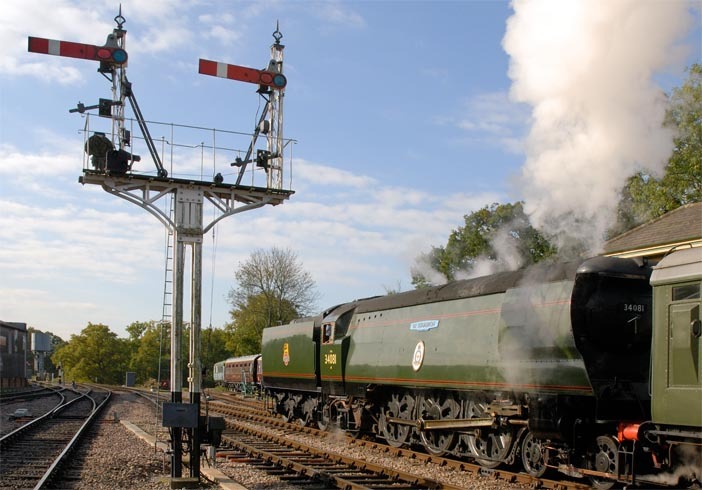 34081 92 Squadron and Bulleid "West Country" Class no. 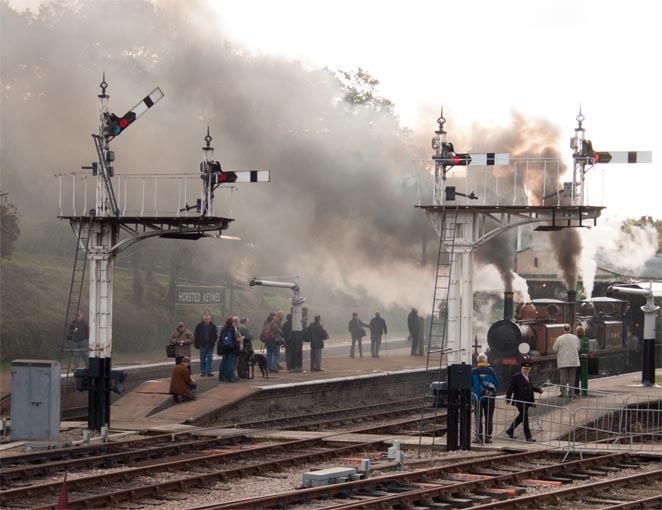 34028 Eddystone at Horsted Keynes. 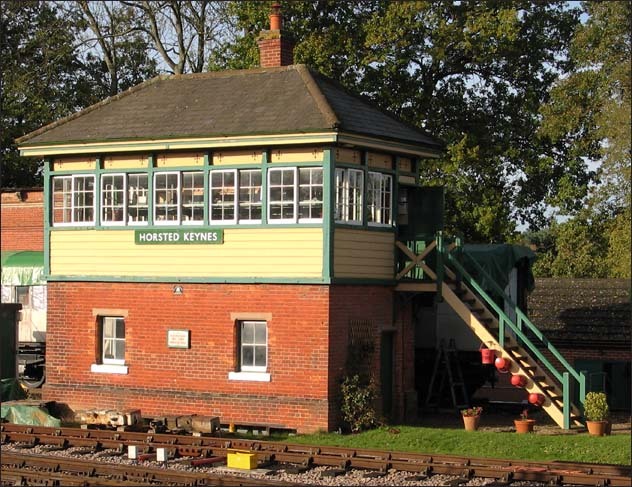 This page is about the Bluebell Railways signal box at Horsted Keynes .